Because of the long break since the last blog, I thought we should go back to basics and look at a show that for many of us started our passion for theatre. I saw a national tour of RENT with my entire family in Ottawa back in 2004. While I didn’t immediately get into musical theatre, I did become a huge fan of the show (a RENTHEAD?) along with my entire family. We would listen to the cast recording in the car and and dance along to “La Vie Boheme” as if we were in the musical ourselves. It is amazing how one show can inspire so many people and accumulate such a massive following. 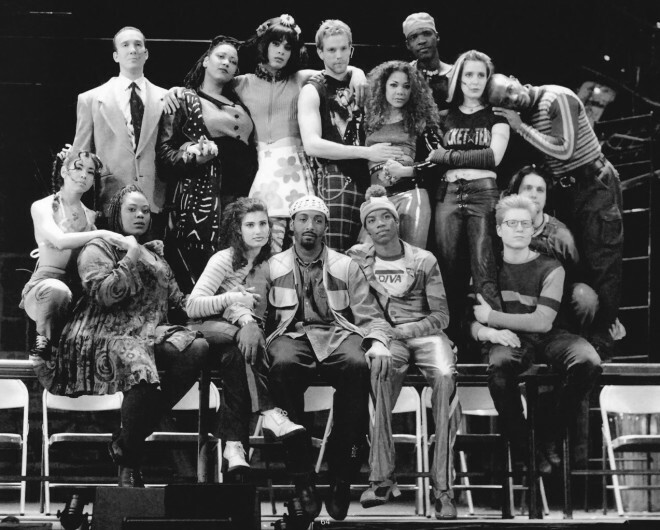 When looking back at RENT‘s performance on the 50th Annual Tony Awards in 1996, it is amazing how potent the material still is. No matter how many times I see the show, I still cry, laugh, and scream as if it was my first time seeing it.